Thanks for this! Shared on Twitter & Facebook. I've used Lakoff's ideas for a long time. He takes the two types of liberty that Isiah Berlin defines as "freedom to" versus "freedom from" in Fox and the Hedgehog and applies it to political psychology. Actually, the "freedom" thing is not in Lakoff's book. That is me, but the idea about the far right claiming the concept and word "freedom" came to me while reading Nancy MacLean's new book Democracy in Chains. Thank you. 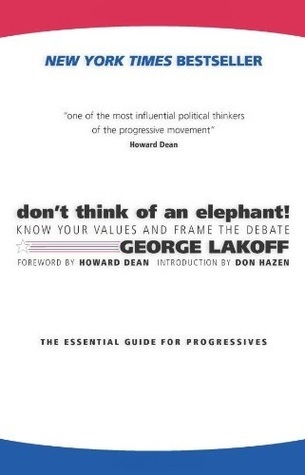 I'd assumed Lakoff had returned here to his ideas in his earlier "Whose Freedom?" where he'd come your conclusion about the trap of what he calls the "freedom frame" in political discourse. I have MacLean's book now and good to know that is part of her argument. Her title is apt, isn't it. Probably best not to assume too much until you've read this material. MacLean does not make an argument about the word freedom. That's me. She merely mentions how the word is used by the far right. Arlie Hochschild may have used the phrases 'freedom to' and 'freedom from' which I subsequently used in this review. Again, probably best not to assume too much.